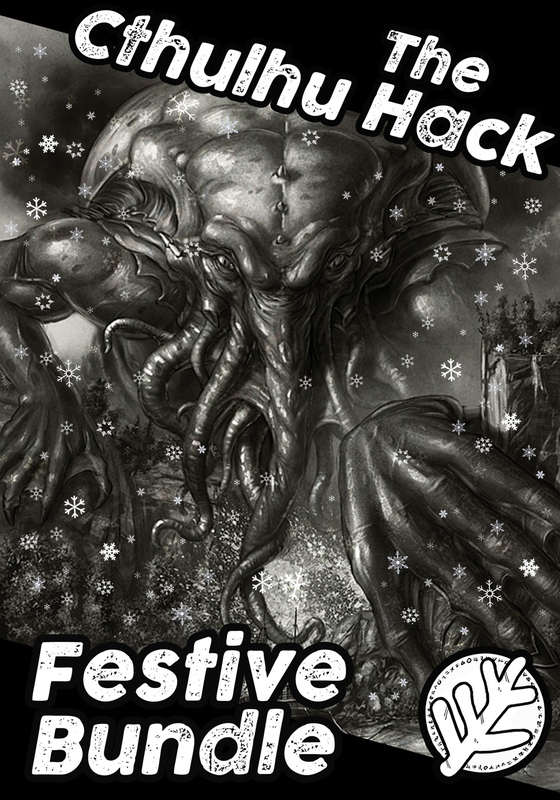 Three days remain for The Cthulhu Hack Festive Bundle on RPGNow. The bundle will run through to New Years Day. OneBookShelf has a New Year, New Game promotion from that point on – and I’m really happy that 639 people have taken advantage of The Cthulhu Hack: Quickstart – Nocturnal Rites to get clued up to this investigative horror. For reference, the Quickstart has gone to Pay What You Want. It means you can still pick it up for free, but if you want to show your appreciation you have that option. More than 500 people have also taken advantage of the PWYW offer on The Cthulhu Hack: Convicts & Cthulhu. If you really like what you see in Nocturnal Rites and want to see more, you can pick up PDFs of the core material from RPGNow, a softcover Cthulhu Hack from Lulu or one of the matt-laminated A5 beauties from All Rolled Up’s Just Crunch Games section. I was really happy when someone got a Deep One Max box set on the RPG Geek Secret Cthanta. 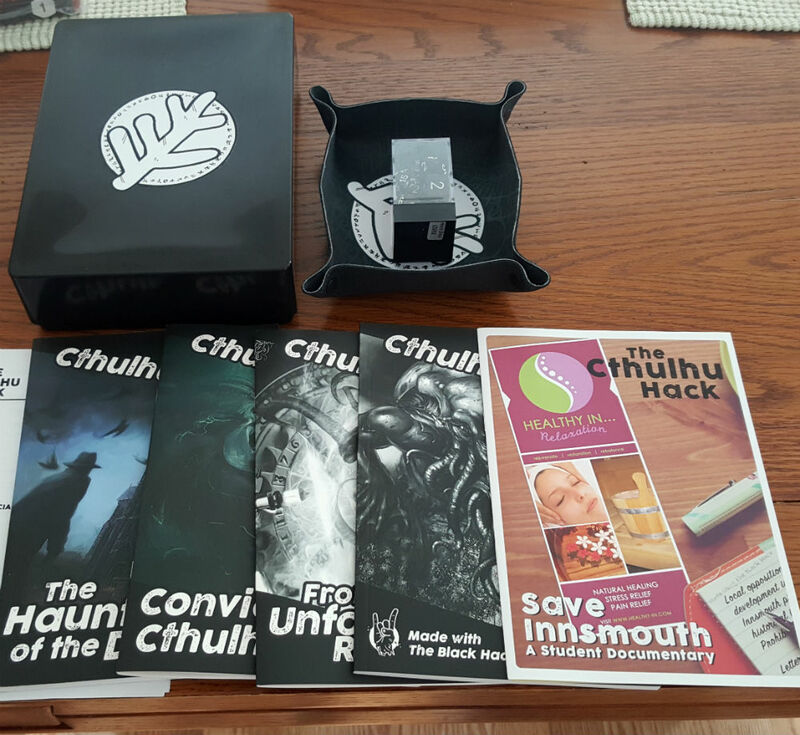 I’ve been really happy with the interest and support for The Cthulhu Hack this year period. I will have a more detailed look in a few days time, but in general number terms almost 3,000 items have been downloaded in the last 7 months, two-fifths of those paid products, one-fifth Pay What You Want, and the remainder all free. That kind of support makes it much easier to return to the keyboard and the playtest table to produce more material. Thanks to everyone for that positive push in the right direction!